Kanye West and Adidas have a number of translucent Yeezy Boost 350 V2s in the works for 2019, including the recently revealed "Clay" colorway, as well as the "Hyperspace" iteration that surfaced today. According to Yeezy sneaker source @TheYeezyMafia, the all-new "Hyperspace" Yeezy Boost 350 V2 is a "special release" that will be available this Spring, although specific details have not yet been revealed. The kicks look to be built on a pale blue primeknit upper, with that same tint being applied to the translucent Boost midsole. 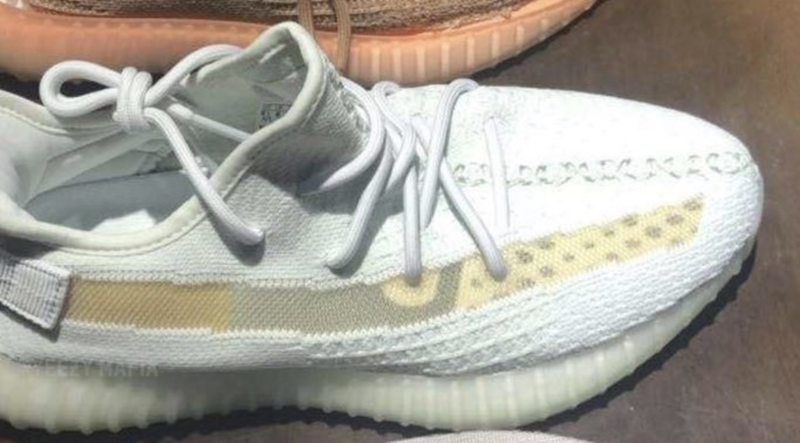 Similar to the aforementioned "Clay" Yeezy Boost 350 V2, the Hyperspace colorway is highlighted by a see-through stripe on the midfoot panel, in place of the traditional SPLY-350 text. Both the Clay and Hyperspace Yeezys, as well as a "True Form" colorway, have earned the "special release" distinction from Yeezy Mafia, so there's a possibility all could release as part of a limited edition pack in the coming months.